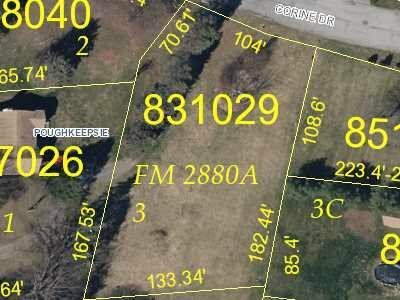 TOWN OF POUGHKEEPSIE BUILDING LOT WITH MUNICIPAL WATER & SEWER. LOCATED IN ESTABLISHED SUBDIVISION JUST MINUTES FROM COLLEGES, HOSPITALS, POUGHKEEPSIE TRAIN STAIN, MID-HUDSON BRIDGE & ROUTE 9. PART OF TWO LOT SUBDIVISION. CAN BE PURCHASED AS A PACKAGE WITH ADJACENT .40 ACRE LOT.